Compiègne is a commune in the Oise department in northern France. Explore the numerous day-trip ideas around Compiegne: Chateau of Coucy (in Coucy-le-Chateau-Auffrique), Chateau de Chantilly (in Chantilly) and St-Quentin (Basilique de Saint-Quentin, Chemins d'Histoire Battlefield Tours, & more). Next up on the itinerary: find something for the whole family at Parc Asterix, contemplate in the serene atmosphere at Cathédrale Notre-Dame de Laon, make a trip to Arenes Gallo-Romaines, and admire the landmark architecture of Palais de Compiegne. 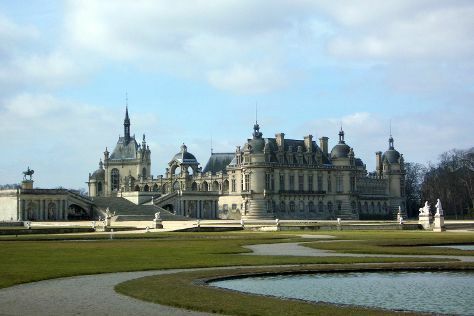 Plan a trip to Compiegne easily and quickly by telling Inspirock to suggest an itinerary. Sydney, Australia to Compiegne is an approximately 28-hour flight. The time zone changes from Australian Eastern Standard Time (New South Wales) to Central European Time, which is usually a -9 hour difference. Plan for somewhat warmer temperatures traveling from Sydney in August, with highs in Compiegne at 27°C and lows at 15°C. Wrap up your sightseeing on the 1st (Sat) early enough to drive to Lille. Explore Lille's surroundings by going to Musée du Louvre-Lens (in Lens), La Coupole (in Saint-Omer) and Monument et Parc commémoratifs du Canada à Vimy (in Vimy). And it doesn't end there: test your team's savvy at popular escape rooms, examine the collection at Méert (Musée de la Piscine), admire nature's wide array of creatures at Lille Zoo, and take a stroll through Vieux-Lille. To find more things to do, traveler tips, other places to visit, and tourist information, read our Lille trip planner . You can drive from Compiegne to Lille in 2 hours. Other options are to take a train; or do a combination of train and bus. In September, daytime highs in Lille are 23°C, while nighttime lows are 12°C. Wrap up your sightseeing on the 6th (Thu) to allow time to take a train to Boulogne-sur-Mer. 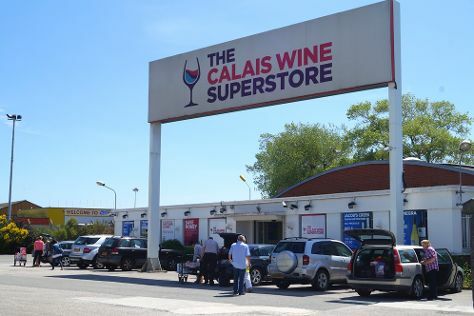 Get out of town with these interesting Boulogne-sur-Mer side-trips: The Citadel (in Montreuil-sur-Mer), Le Touquet Beach (in Le Touquet – Paris-Plage) and Calais (Calais Beach, Calais Wine Superstore, & more). To find traveler tips, photos, other places to visit, and more tourist information, use the Boulogne-sur-Mer trip planning site . You can take a train from Lille to Boulogne-sur-Mer in an hour. Another option is to drive. In September, plan for daily highs up to 22°C, and evening lows to 15°C. Wrap up your sightseeing on the 10th (Mon) early enough to drive to Amiens. Explore the numerous day-trip ideas around Amiens: Beaumont-Hamel Newfoundland Memorial (in Beaumont-Hamel), Australian War Memorial (in Villers-Bretonneux) and Musee Somme 1916 (in Albert). The adventure continues: take in the spiritual surroundings of Cathedrale Notre-Dame d'Amiens, take a stroll through St-Leu, identify plant and animal life at Les Hortillonnages d'Amiens, and contemplate the long history of Lochnagar Crater. To see reviews, photos, maps, and more tourist information, you can read our Amiens trip itinerary maker . Traveling by car from Boulogne-sur-Mer to Amiens takes 1.5 hours. Alternatively, you can take a train. Traveling from Boulogne-sur-Mer in September, Amiens is slightly colder at night with lows of 11°C. Wrap up your sightseeing by early afternoon on the 14th (Fri) to allow enough time to travel back home.